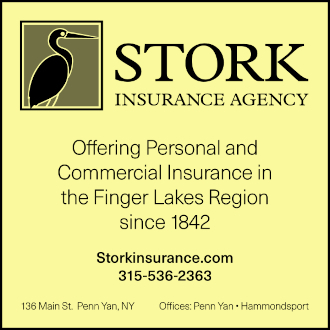 PENN YAN—The boating season is doing just fine at Morgan Marine on Keuka Lake. Owner Jeff Kennedy said the busy season has two starting points: Memorial Day weekend and after the graduations. The Penn Yan facility has opened up 44 new slips to boats this year. Kennedy said work started on the new dock in the last week of March. However, he added the marina hasn’t been able to install water and electricity connections yet, but boats are still using the slips. With the addition, Morgan Marine can now handle 153 boats total. Kennedy said the planning for the expansion started three years ago, with zoning approvals, a lease from the state for the land under the water, and input from multiple agencies. “The key to being responsible in the community is when you grow, grow responsibly,” said Kennedy. The expansion included obtaining two parcels, one with a cottage and the other with a house. Kennedy said the cottage sleeps four, while the house can sleep 14. Morgan Marine rents those out to people. “They have a boat, but no place on the lake to stay,” he said about most customers. Overall, Kennedy said Morgan Marine has been getting a steady increase in customers each year. He explained the marina is getting more people coming to stay for the weekend, whether they sleep on their boats or rent a place. The most popular boat has become the pontoon. Kennedy said the “baby boomer” generation has gotten older and when one buys a boat, they usually buy a pontoon. He explained the pontoons are better for older people to operate and can fit more people, like the whole family. With the increased interest in pontoon boats over the last five years, Kennedy said the quality has improved. “They’re not the slow moving boats they were a few years ago,” he said. Kennedy explained pontoons can now sport luxury seating and be used for water tubing. Another popular feature at Morgan Marine is the boat rental business. Kennedy said in 2010, boat rentals doubled over the year prior. However, he added 2011 rentals are about the same as last year. Kennedy said the marina offers 15 total rental boats. He explained after renting an engine powered boat for a year, the marina offers it for sale and purchases new rentals the next year. If the customer base continues to increase, Kennedy said Morgan Marine will look at expanding again. However, he added if the business does anything, they will look at the long-term plans and impacts.